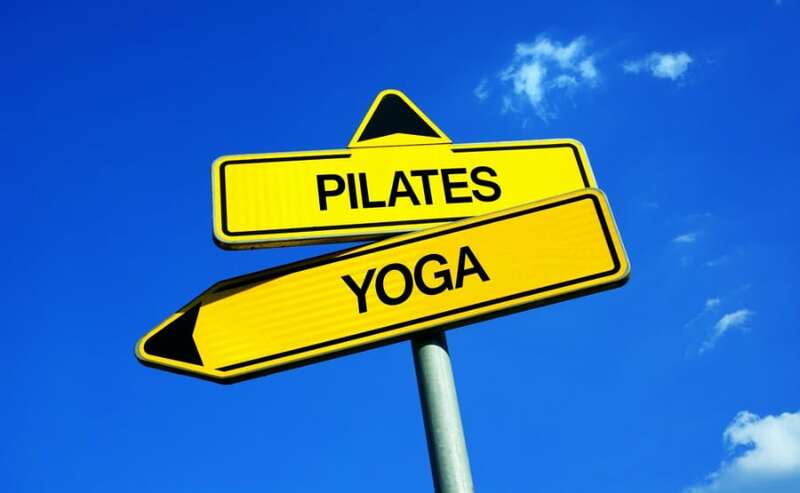 At first glance, yoga and Pilates seem very similar. They’re both forms of low-impact training with a focus on combining breath, focus and mental awareness with physical movement. However, when it comes to fitness, is one better than the other? Key differences between Yoga and Pilates make each beneficial for specific goals. To choose the best option to complement your current exercise regimen, it helps to know how the movements involved affect the body and what improvements can be expected with a regular practice. Sources pinpointing the age of yoga vary, but the practice appears to have been developed in ancient India somewhere between 3,000 and 10,000 years ago. Due to its association with sacred texts and teachings, its origins are shrouded in mystery. The earliest appearance of the word “yoga” was in an ancient text known as the Rig Veda, but yoga practices were generally taught or passed on through oral tradition rather than being written down. Yoga underwent several transformations over time. Beliefs associated with the practice during the Vedic period drew on Eastern religious songs and writings. Yoga in the Pre-Classical period was based in the idea of connecting with the highest possible form of enlightenment. Teachers and students of the practice continued to focus on enlightenment throughout the Classical period. Bodily rejuvenation became the key element during the Post-Classical period before yoga spread to the West in the 1900s. It saw growth during the 1960s and has continued to evolve as diverse groups of people adopt it as part of their lifestyles. Today, you’ll find a variety of yoga styles in studios, at local gyms, on popular DVDs and in online videos. Some teachers adhere to the roots of yoga, incorporating Eastern philosophies and spiritualism into their classes. Others approach yoga as an integral part of fitness and combine. some of the postures with unrelated workouts, such as HIIT. “Hot yoga,” in which students practice a series of yoga poses in rooms heated to temperatures resembling very warm summer days, has also gained popularity in recent years. New forms and flows are likely to appear as Western culture exerts a greater influence on yoga. In the 1920s, Joseph Pilates and his wife Clara opened what they called a “body conditioning gym.” A jack of all trades, Pilates had already worked as a circus performer and self-defense instructor and was skilled in boxing. Pilates worked as a hospital orderly during the First World War and developed basic rehabilitation machines by attaching springs to patients’ beds. These early designs were later honed into equipment used by patrons at the gym. Many people were drawn to Pilates’ establishment for the benefits his exercise regimen, then called Contrology, offered. The movements and machines aided in recovery from injuries and gained popularity among well-known dancers. Pilates recorded his methods in two books, Your Health and Return to Life Through Contrology, passing on the principles of total body conditioning, controlled movements and focused breathing patterns. The practice was renamed the Pilates Method after his death. Several students who trained with Joseph Pilates opened their own studios, and the practice really began to take hold in the 1970s and 1980s as Hollywood celebrities discovered how it could improve their health. Media coverage and the appearance of Pilates classes in gyms around the U.S. cemented Joseph Pilates’ original ideas as a part of mainstream fitness culture. Despite coming from such distinct backgrounds, yoga and Pilates have several things in common. Both are considered to be beneficial for relieving stress, increasing flexibility, building strength, improving endurance and teaching proper form and muscle control. Breath work is important in both practices, providing guidance and focus as students move from pose to pose or work through a series of repetitions. The main difference between the two practices lies in the structure and purpose. Pilates exercises involve a great deal of core work and put emphasis on muscle control. Strength and toning take precedent over spirituality, and a class usually consist of predictable groups of movements. This gives classes an element of consistency on which students can rely as they progress from beginner to advanced. Exercises are usually performed without equipment, although some Pilates instructors still use variations of the machines developed by Joseph Pilates in the 1920s. Each low-impact class takes place entirely on the floor, with participants lying on their backs, stomachs or sides for various movements. The myriad forms of yoga now being practiced in the Western world make it possible to choose a form suited to personal tastes and unique goals. In general, yoga is more focused on breath, alignment, balance and inner calm. Styles range from gentle restorative classes for rehabilitation and recovery to fast-paced power and Ashtanga flows. The more quickly a sequence progresses from one pose to another, the greater the challenge on the muscles and cardiovascular system. Yoga classes may follow a free “flow” format or a specific sequence, such as those found in Ashtanga and Bikram yoga. Teachers sometimes structure classes around themes or focus on specific body parts to provide benefits for strength, flexibility, balance or stress relief. Unlike in Pilates, where the concentration is almost always on the core, yoga works the entire body with poses ranging from arm balances to deep stretches. There’s some debate about whether yoga or Pilates is better for you in terms of physical fitness and personal well-being. Some people swear by one or the other, insisting the practices can replace traditional forms of exercise. Others have experienced positive outcomes when recovering from illness or injury and seeking to manage stress. The different styles involved in yoga and Pilates, as well as the focus on various parts of the body, mean each practice has distinct benefits. Choosing the “best” one is largely a matter of what your goals are, your current level of physical fitness and whether or not you’re comfortable with your training including spiritual principles rooted in Eastern culture. Flexibility, strength, toning and weight loss are the most common benefits people look for in yoga and Pilates. While all of these elements are found to some extent in both practices, the degree to which each is emphasized varies and can make a difference in how each one supplements your fitness journey. You’ve probably seen pictures of advanced yoga students performing poses most people think would be crazy to attempt, but these postures are possible thanks to the flexibility you can gain through the practice. Many yoga poses have several levels or modifications to help beginners get used to the positions before going deeper, and each level builds upon the previous one until you’re able to perform the full pose. Muscles and joints are stretched during yoga as you flow from one pose to another. Holding poses allows tight areas to release, easing pain and increasing range of motion. If you practice yoga for any length of time, you’re likely to notice improved movement in other exercises, such as squats and deadlifts, and feel a positive difference in recovery time. Yoga classes create balance between poses by working both sides of the body and including counter-poses to stretch out all muscles. For example, if you perform a back bend, a forward bend or lower back release will usually follow. Twists and binds are mirrored on the left and right, often as part of complete flow sequences, to increase flexibility across many planes of movement. You can gain some flexibility from Pilates, but the dynamic, repetitive movements don’t provide the same deep release you get with yoga. Core strength and stability is essential for good balance, proper posture and injury prevention, and this is the central focus of Pilates. Keeping your core engaged and your back flat are both emphasized during Pilates classes as you move through a series of controlled movements. Exercises like toe taps, leg extensions and leg drops require core engagement to prevent your back from arching, and prone movements like swimmers and back bows engage the opposite side of the body. These and other targeted movements use the force of your own muscles working against themselves or the aid of Pilates machines to build muscle strength and increase endurance. Unlike in the freer form of yoga, each exercise is performed for a certain set of repetitions before moving on to the next. This targets muscle groups more specifically, engaging stabilizing muscles and cultivating balanced strength. With a regular Pilates practice, you should feel more stable in your core and less prone to slouching or rounding your back. Certain types of yoga help build muscle strength throughout the body. Advanced poses, including arm and leg balances, require holding your weight in ways to which you may not be accustomed. Both hip and spine alignmentare often emphasized, helping you learn how to stabilize yourself as you work up to more challenging poses. Inversions, such as shoulder stand and headstand, require a great deal of strength and balance and are often taught in stages to ensure proper form is maintained. As with other types of strength exercises, Pilates must be practiced on a regular basis to gain the most benefit. Over time, you should see an increase in muscle tone in the core, legs and glutes. The emphasis on these areas makes short Pilates routines beneficial as a “burnout” at the end of lower body strength training sessions. By challenging the body in unique ways, Pilates adds definition to muscles often considered difficult to target. The core is another area many people find to be a problem spot. In addition to teaching balance and building strength, Pilates helps flatten the core by training the muscles to pull in naturally during normal activities. 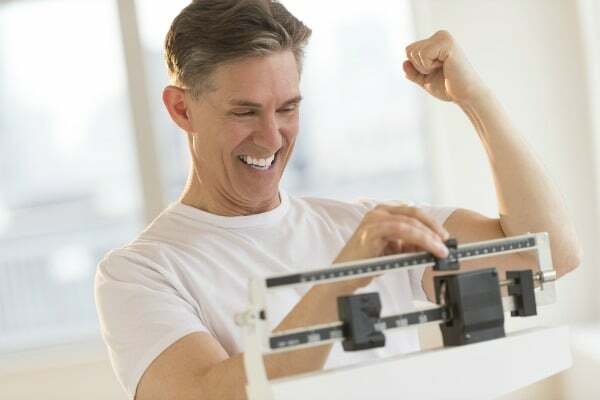 This makes you not only look leaner but also stand taller, improving your overall appearance. Using resistance machines as part of your Pilates practice adds more of a benefit for toning and shaping muscles. Yoga also involves core work while simultaneously engaging the arms and legs. You won’t build a lot of muscle in yoga classes, but you should see better definition if you’re diligent. You may notice people who do a lot of yoga have a lean appearance, and this is due in part to the emphasis on fluidity, stretching and balance. Learning to place the entire weight of your body on one arm or one leg, using your forearms as a “base” and building up to other poses involving resistance helps shape and tone underused muscles. While neither yoga nor Pilates has the same benefit for weight loss as more intense forms of exercise, such as strength training and HIIT, some studies suggest there may be truth to the claims these practices can aid in maintaining a healthy body size. People who take up yoga or Pilates tend to adopt other healthy habits, including better dietary choices. 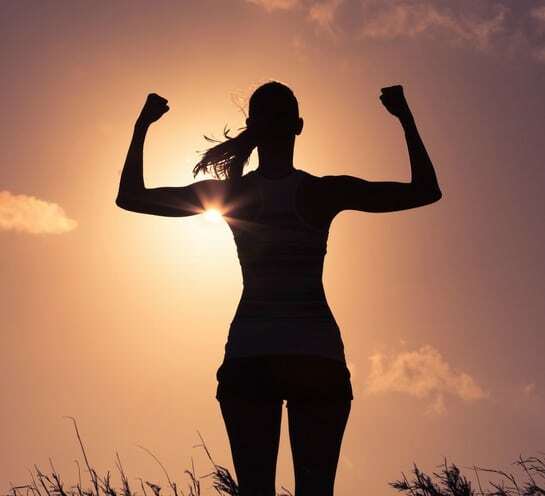 A more positive mindset, improved body image and the communal nature of the practices all appear to have an additional impact on the level of benefit participants experience. Vinyasa flow and power yoga classes burn more calories than yin and restorative yoga because the heart rate becomes elevated as you move through a fast series of challenging postures. The number of calories burned during a Pilates session varies depending on the movements performed and whether or not you use machines. Of the two, Pilates is more of a workout, offering higher intensity while keeping the impact on the body low. Yoga’s focus on mind, body and breath emphasizes balance and stress relief over fitness. If you want to maximize the number of calories burned during either practice, look for the most challenging forms in which to engage on a regular basis. Should You Practice Yoga, Pilates or Both? When deciding whether to incorporate yoga or Pilates into your fitness regimen, the first thing to consider is your main goal. Assess the types of exercise in which you already engage. Are you a runner trying to get faster? Do you want to add weight to your lifts when strength training? Do you want to be able to out-perform the competition in your preferred sport? No matter what your current workout plan is like, it’s important to pay attention to how hard your body is working. Signing up for a challenging power yoga class when you already do a lot of cardiovascular exercise may be more tiring than helpful, and doing Pilates the day after a heavy lifting session in which your core muscles took a beating could leave you feeling too sore. In most cases, however, both practices are gentle enough to be safe for the majority of healthy people. If you’re recovering from an injury or getting back into working out after a long absence, Pilates is a good choice for maintaining or regaining muscle strength. The low-impact nature of the exercises minimizes strain on your joints and reduces the risk of reinjury. It can also be used as a “recovery day” workout as long as your core muscles aren’t already fatigued. Yoga is also beneficial for recovery, especially “slow flow” and Yin styles. When your body is worn out from exercise or sports training, these forms of yoga provide the gentle, deep stretches you need to ease muscle soreness and prepare yourself to get back in action. Faster flows, power yoga, balancing and twisting cultivate concentration while teaching proper alignment and form. The fluid motions increase flexibility throughout the body, lowering the likelihood of injury during other types of exercise. Practicing both yoga and Pilates can compound the benefits. The flexibility cultivated in yoga may make it easier to perform Pilates exercises, and the balance learned in Pilates is a necessary component of many yoga poses. However, since neither practice involves challenging weight-bearing exercise or aerobic conditioning, yoga and Pilates should be considered complementary to a well-rounded fitness program incorporating strength training and cardio. Attending classes in your community or working with a trained instructor is the best way to get started with yoga and Pilates. Teachers and trainers can help you learn the right alignment for each movement and posture so that you get the most benefit out of the practice. As with any form of exercise, establishing good form at the start is essential to avoid injury and prevent the need to unlearn bad habits in the future. Once you have the form down, you can practice at home with online videos like those offered by DoYogaWithMe, Five Parks Yoga, Fitness Blender and Sean Vigue Fitness. The strength, flexibility and toning benefits of both yoga and Pilates can improve performance in other activities, making it easier to reach your personal fitness goals and maintain balance and range of motion throughout your life. Combine videos with structured classes to build a balanced cross-training regimen for optimal health.